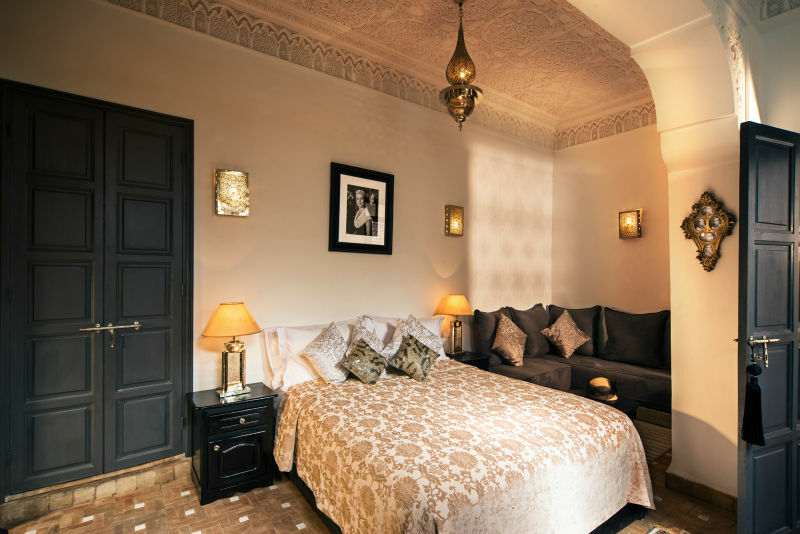 The Stylish & Intimate Riad Star is another luxury riad in Marrakech to add to your list! What better way to celebrate our first wedding anniversary than in the hustle and bustle of Marrakech. 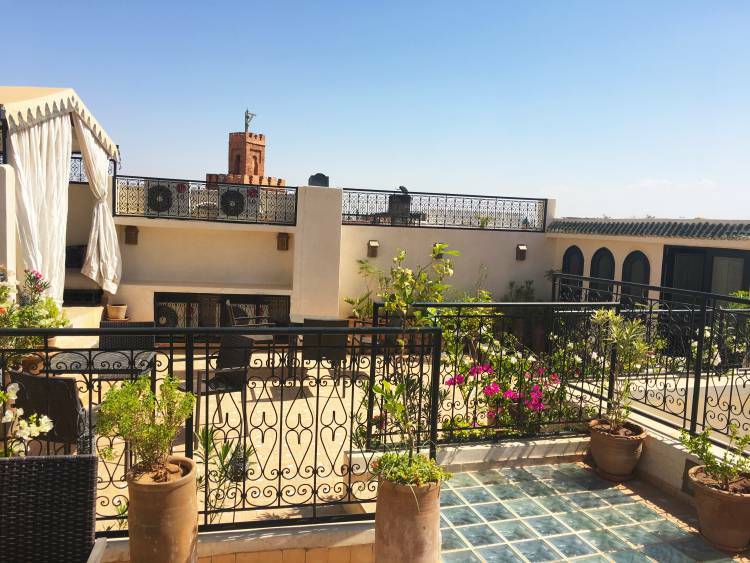 The first part of our trip, we stayed in the luxury Riad Cinnamon for five days and then headed off for a three day adventure to the Sahara desert. 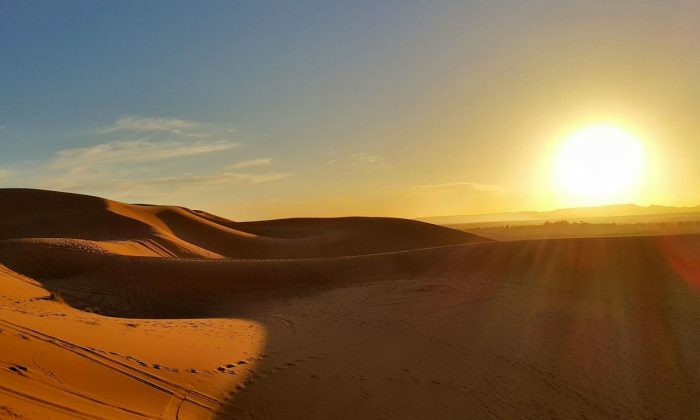 By the way, if you’ve not stayed overnight in the desert then consider luxury camping in the Sahara! 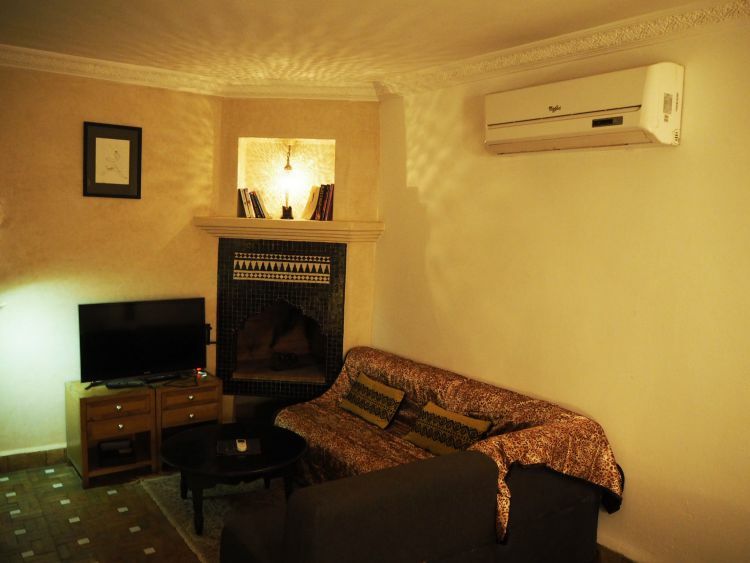 I decided that we should stay in another riad for the last few days and booked up the stylish Riad Star. 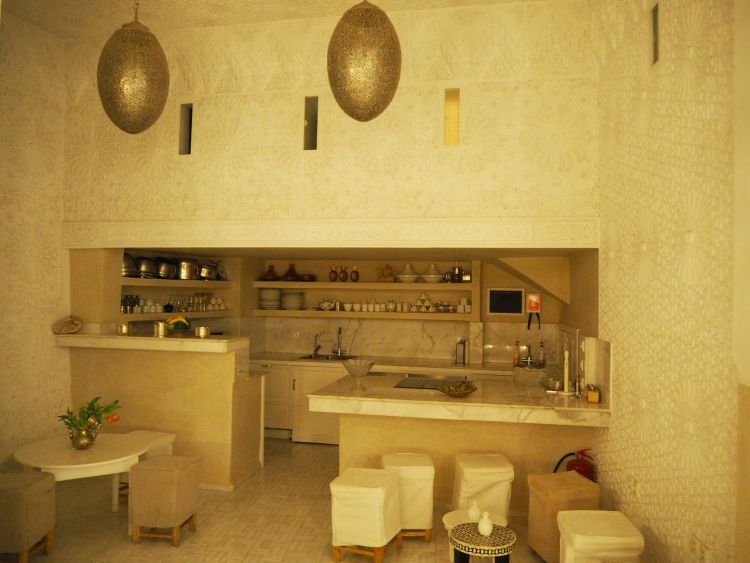 The Riad Star is a romantic, luxurious boutique riad located in the very heart of the old town Medina. 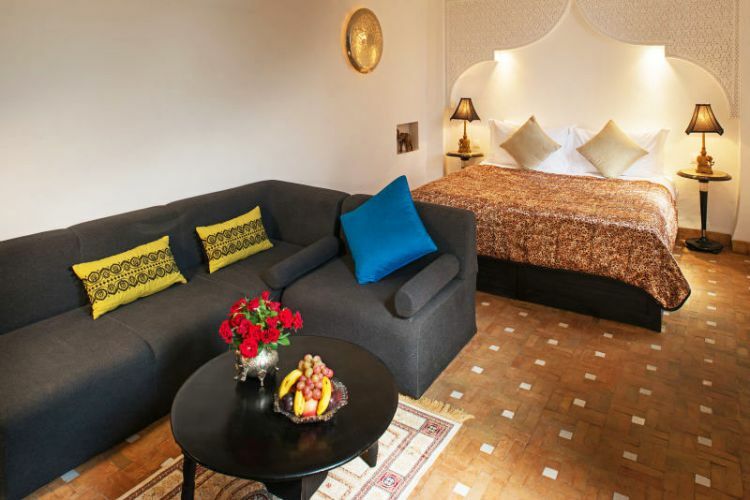 The riad has only 13 rooms and was formerly the home of the 1920’s Jazz superstar, Josephine Baker. 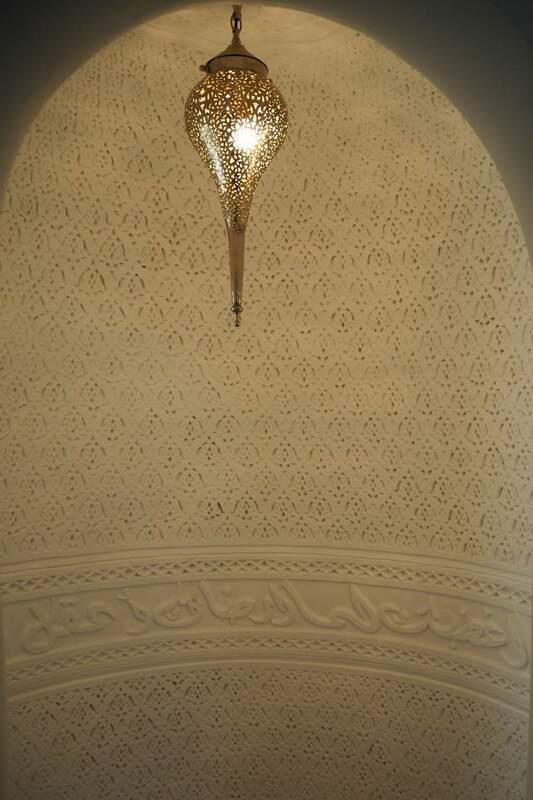 What makes the Riad Star unique, is that it was once attached to a palace which is now the Marrakech Museum. 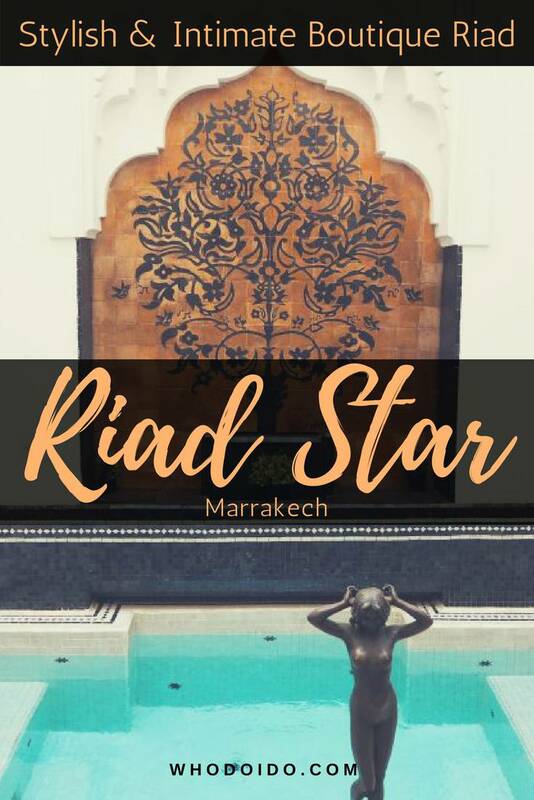 The Riad Star is owned by Mike and Lucie, who also have three other riads in the city, Riad Papillon, Riad Cinnamon and Dar Harbiba. 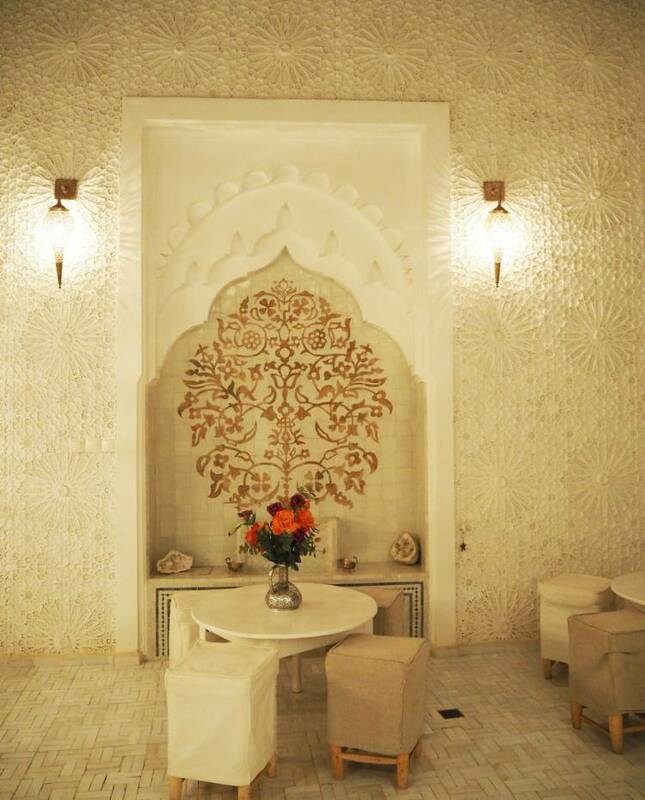 The riad has slowly been renovated to this stunning boutique hotel providing that personal service for the guests. As we stepped inside the riad, our first words were ‘Wow’. What first hit us was how bright the courtyard area was from the natural light; a complete open white space with detailed hand carved tiles on the ceiling. The courtyard is used as a breakfast area and also has a kitchen for the cookery classes. The second area has a dipping pool to help cool off from those hot balmy days and a dining room perfect for large groups and special occasions. 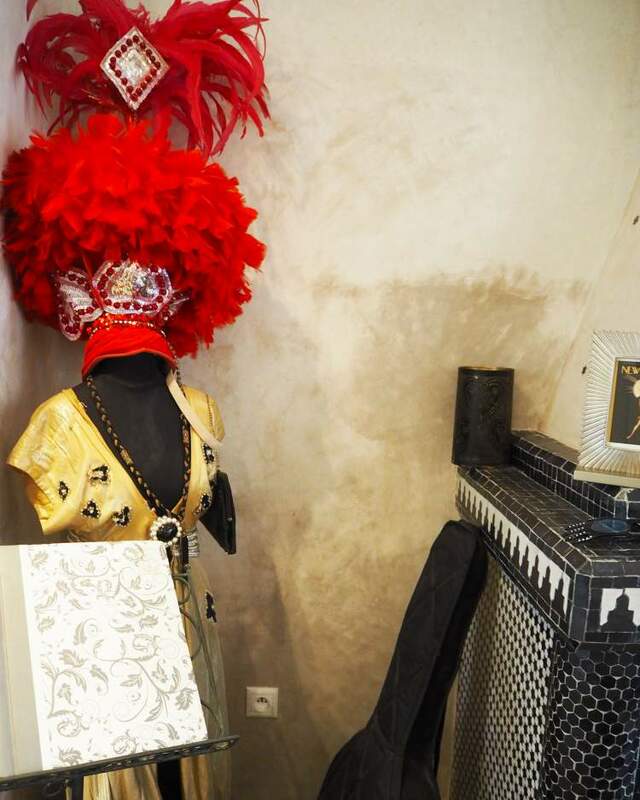 In an adjoining room, you can even try on some of the jazz clothing of which some are from Josephine Baker! Both areas even have a secret rolling roof to shade you from the sun or keep you dry on those rainy days. 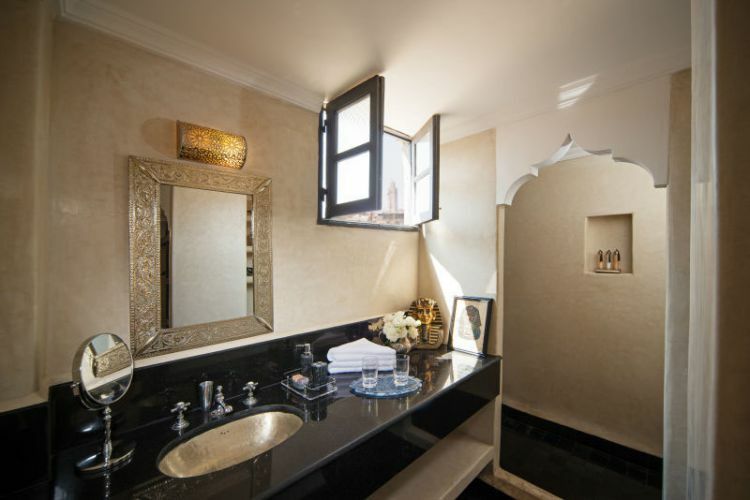 Every room has been decorated with a Moroccan style and that jazzy touch remembering Josephine Baker. 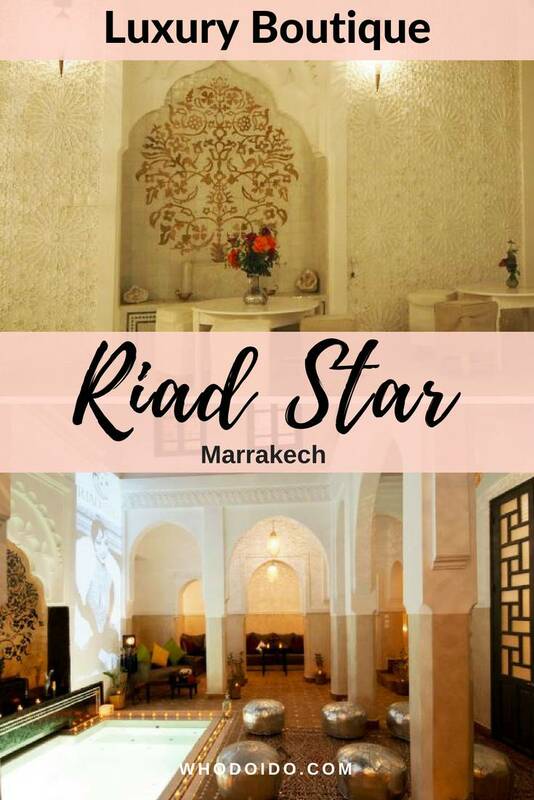 The manager Abdou gave me a tour of the rooms at the riad and I must say that every room was decorated to a high standard especially the Star room with its detailed, hand carved, star shaped, white tiles across the ceiling and an elaborate Moroccan arch over the bed area. Then there’s the Jazz room that’s decorated in a Jazz theme with splashes of colour on the curtains and pillows. There certainly is an array of rooms to choose from at the riad ranging from superior rooms to junior suites and full suites. A room to suit everyone! I booked us into the Chiquita room, which is the ‘most requested room’ stated on the website. And I can see why. Located up on the roof terrace tucked away in its own private corner was our room, away from the other suites to ensure quietness and privacy. Boy was it nice and quiet in the Chiquita room. Didn’t even hear a peep from anyone. 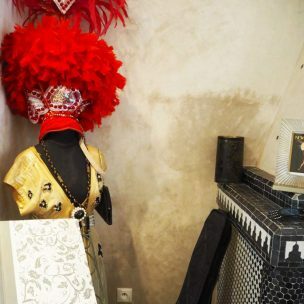 The room is named after Josephine Baker’s pet cheetah, who appeared on stage with Josephine at the famous Casino de Paris. Sliding open the bolt of the door, we were met with an elegant and spacious room with the double bed at one end of the room and a relaxing living area in the other. 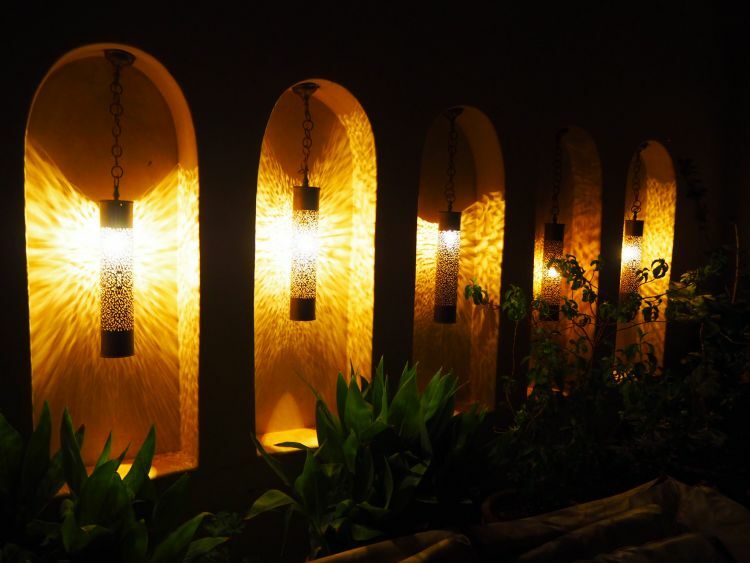 Bronze Moroccan style lampshades dimly lit the room, forming pretty shapes on the wall. The lovely Moroccan styled touches made this room very intimate and cosy, which included the classic Moroccan arch where the bed sat. For cooler nights, you can even light up the fireplace which’ll warm up the room in no time. The bathroom had a sleek black bathroom top in contrast to the cream walls. 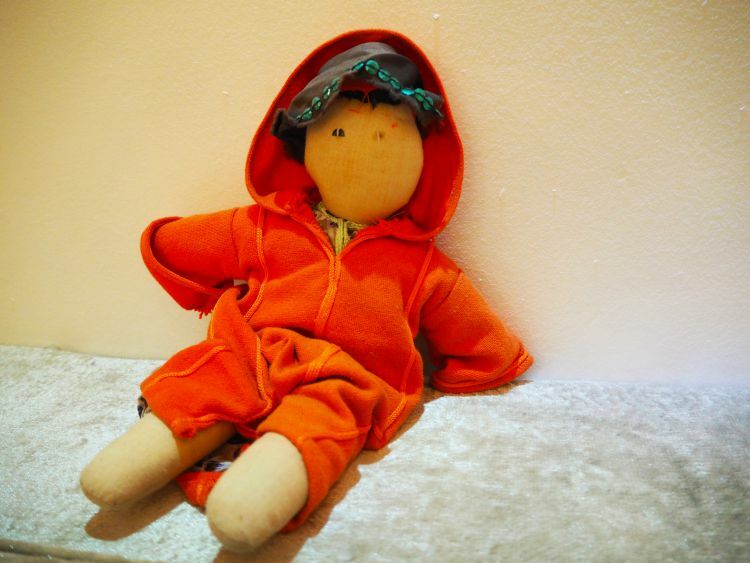 Toiletries were provided in the bathroom along with fluffy robes and slippers. With the Chiquita room being located on the roof terrace, we did find ourselves relaxing there with a fresh pot of mint tea quite often. The roof terrace area is fairly large compared to the Riad Cinnamon and Papillon. There’s three seating areas on different levels offering plenty of sun loungers, tables, chairs and canopies on the roof terrace. A perfect way to enjoy breakfast, even unwind in the sunshine, relax during sunset or star gaze with your favourite cocktail. 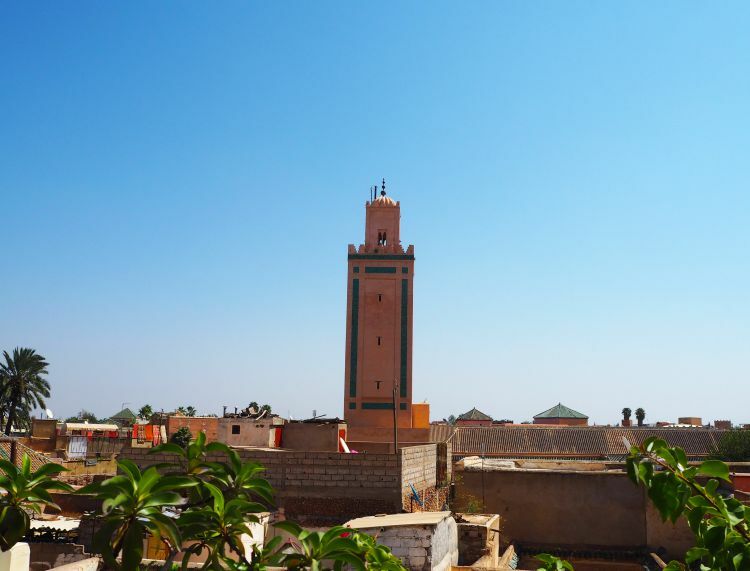 You might even be able to spot the Atlas mountains on a clear day! Breakfast was served at any time, so no need to get up early every day! 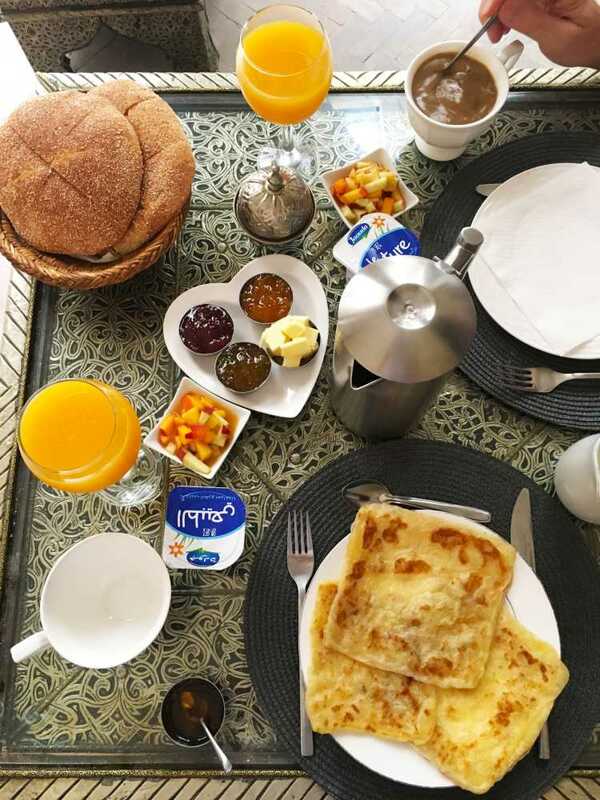 There was a choice of eggs, served with yogurt, pancakes, orange juice, fresh bread with butter and jam and a choice of tea or coffee. I did enjoy the pancakes drizzled with honey! The staff can also prepare an evening meal if you’re coming back late from a trip or just fancy relaxing any evening. 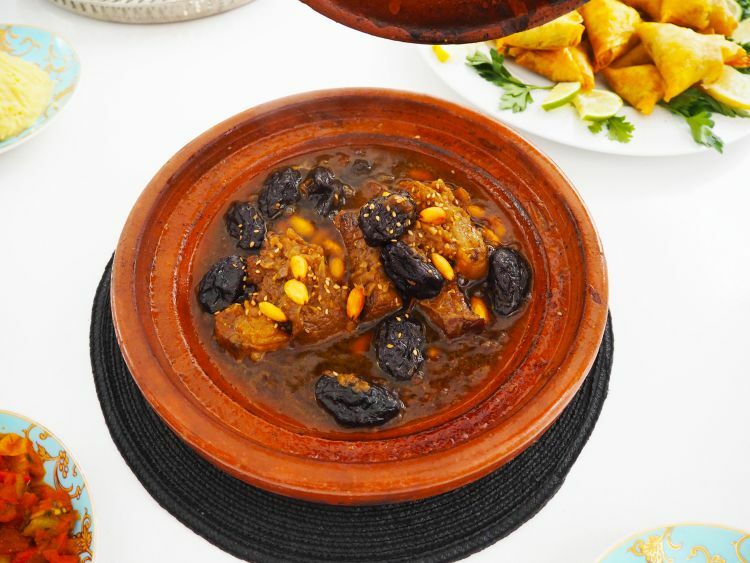 They can prepare a 3 course meal which is usually a mix of Moroccan salads, lamb tagine and dessert. Unfortunately for us I had emailed the UK office to have a meal organised for the day of arrival, as I knew we would be checking in late from our trip. This wasn’t relayed to the staff at the Riad Star and we had to resort to finding an evening meal elsewhere. 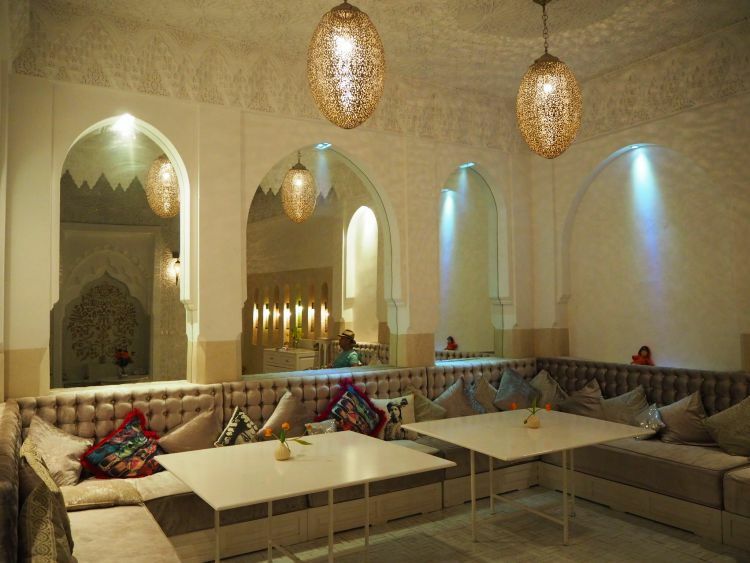 Lucky for us, there was a lovely restaurant a minute’s walk away from the riad, serving tasty Moroccan cuisine. 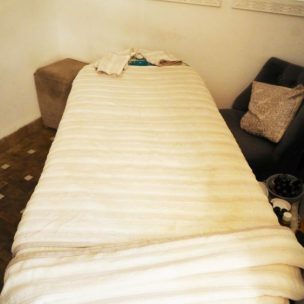 However they did give us a complimentary hammam and massage as a way of saying sorry! 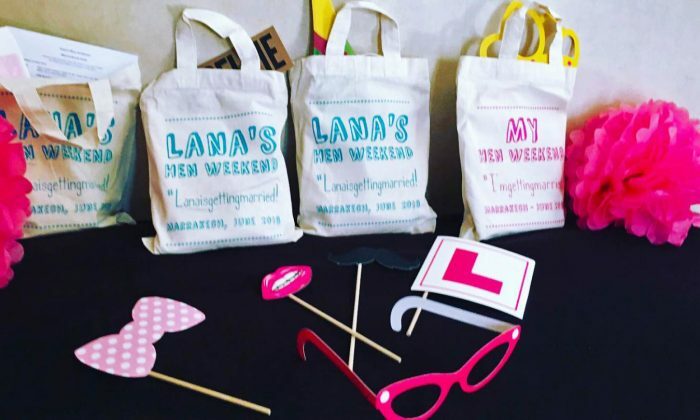 Take part in a cookery class. 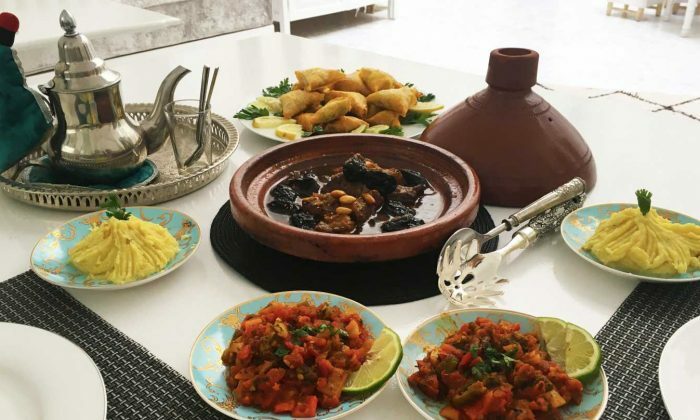 The Riad Star offers a cookery class where you’ll get the chance to browse the markets to buy the fresh ingredients for those traditional dishes. We were able to choose what dishes we wanted to make and ended our class with a feast of all our hard work. There were so many briouates, we shared them with the staff. I must say, our culinary skills were up to scratch! 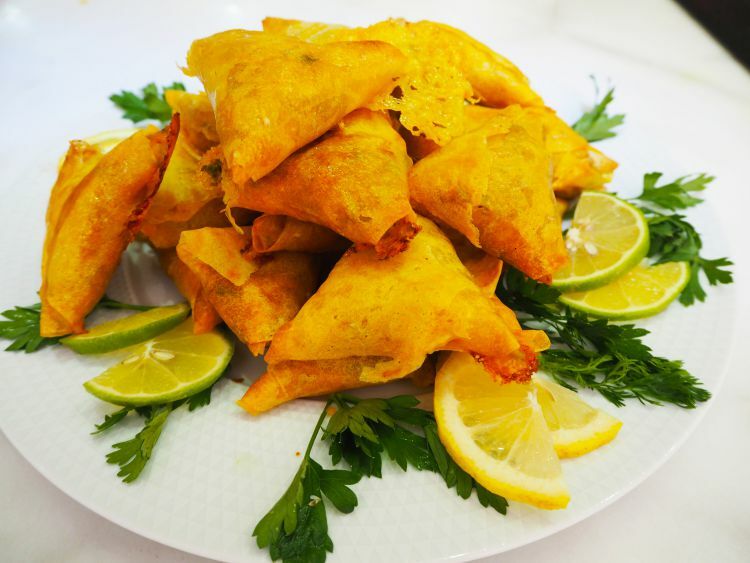 A great way to learn how to create authentic Moroccan dishes and show off your skills when you return home. 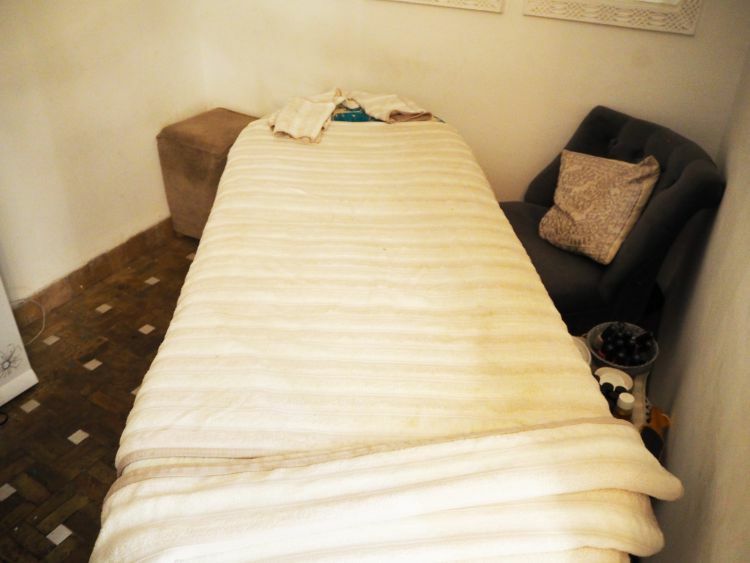 Relax and unwind in the hammam followed by a full body massage. 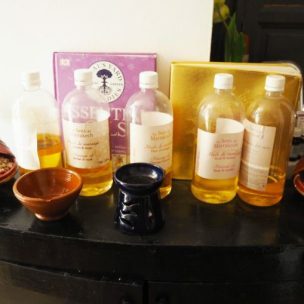 If you’ve not experienced a hammam before, you can check out my experience here during my hen weekend. 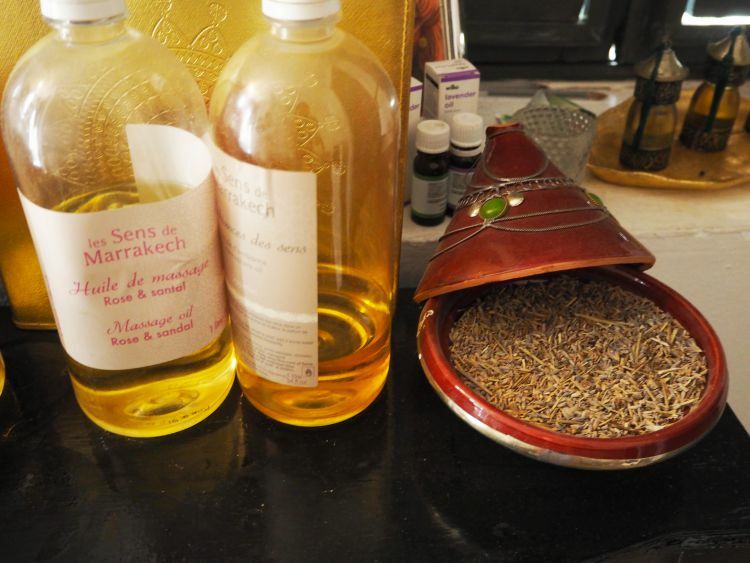 Expect to be sloshed with buckets of water, scrubbed nearly all over and end with a treatment of natural Rhassoul clay. After the hammam, relax on the roof terrace with a glass of refreshing mint tea. The hammam was perfect as it was only a few steps away from our room. 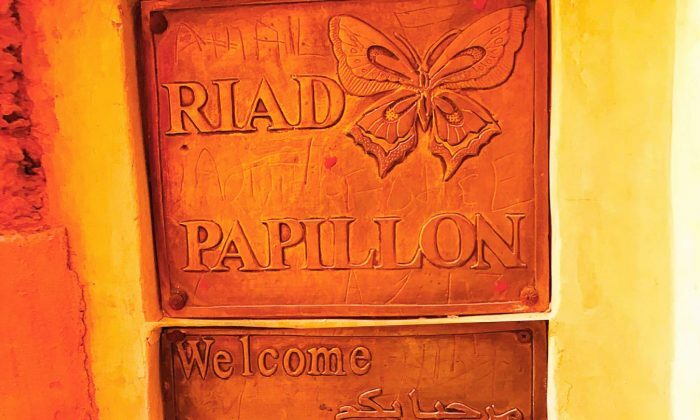 We had a relaxing stay at the Riad Star, however we felt the service was better at the Riad Cinnamon. 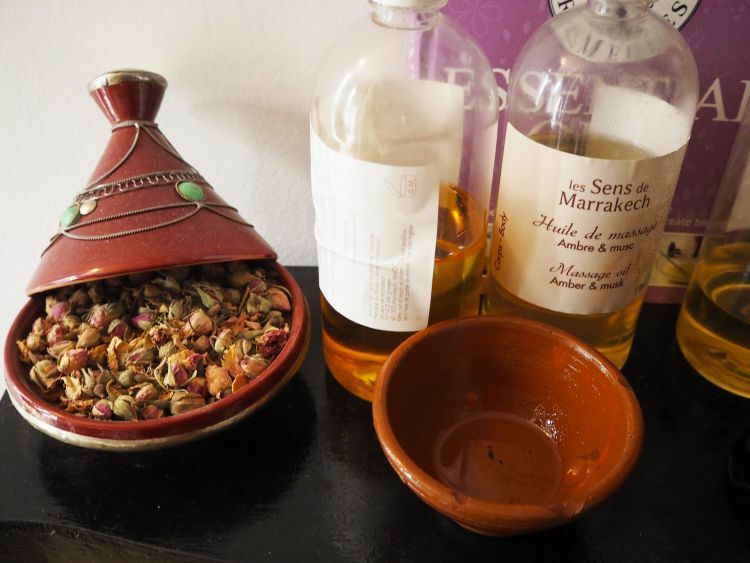 The Riad Star is a beautiful hotel and very quiet amidst the vibrant Medina. 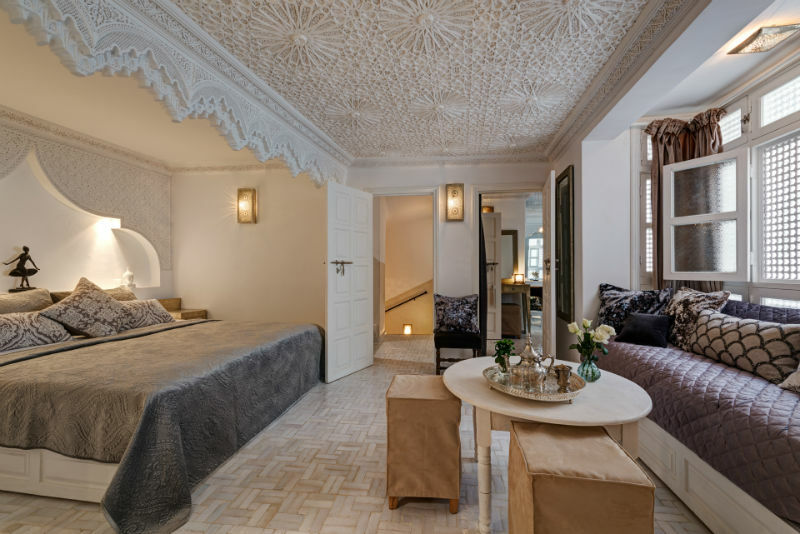 The riad has been renovated to a high standard from the detailed star tiles in the courtyard to the added touches of Josephine Baker in every room. 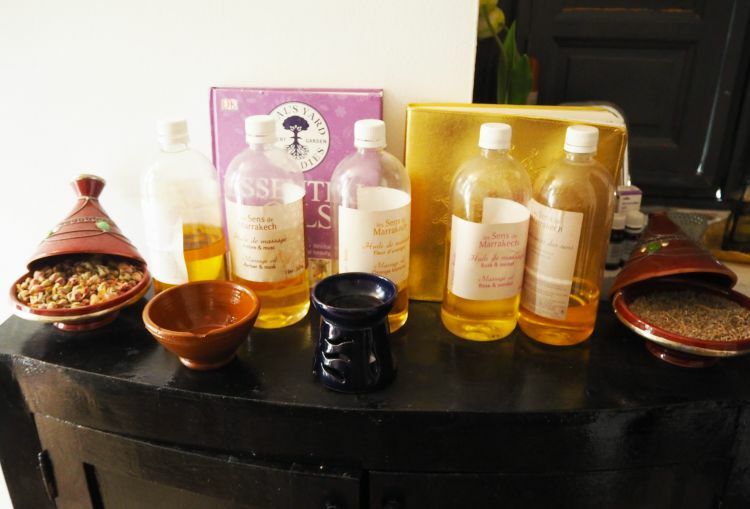 * Disclaimer: We received a complimentary hammam experience and a full body massage. However, as always, all opinions are our own. Everything I’ve seen of Marrakech is stunning – this hotel is no exception! 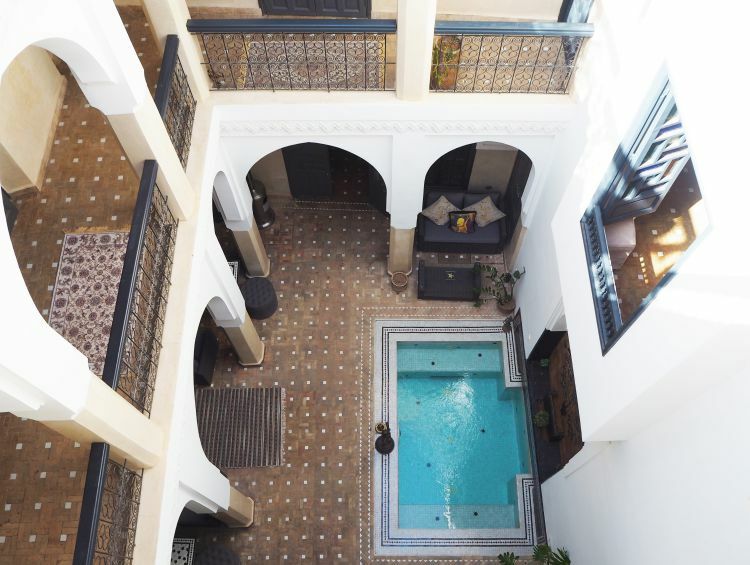 The Riad Star looks like a fabulous place to stay! I want to go and experience the same cookery class! What a fantastic post! I just came across an email from Trip Advisor and they’ve mentioned that this hotel is one of the most popular hotels in Morocco! I’d love to stay here and it’s fabulous that they don’t have a specific time for breakfast. Do you think it’s child friendly? Oh that does look gorgeous. I love those little dipping pools. Great that you can include a cookery class with your holiday. 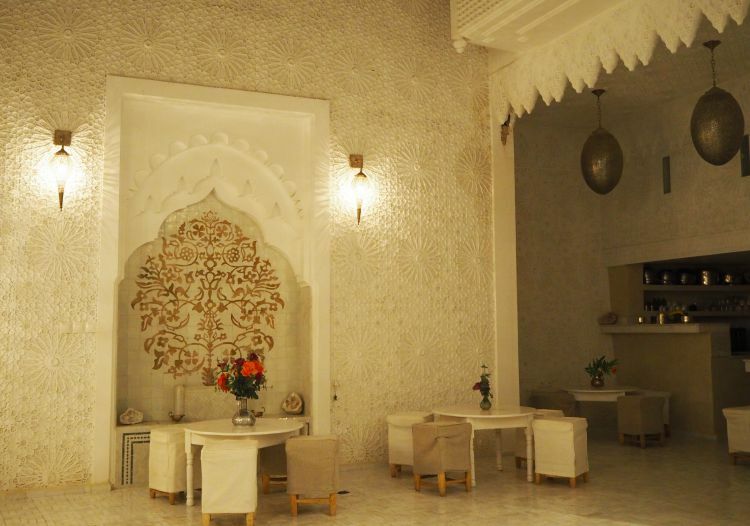 The Riad Star Hotel in Marrakesh looks so stunning and I love the exotic look and feel about the place. 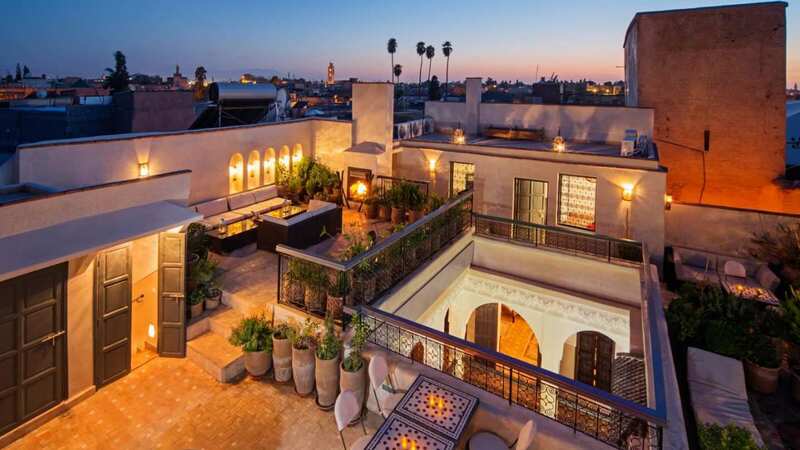 This would definitely be on my list of places to stay when we head to Morocco. Love the architectural details like the wall behind the bed! Beautiful. 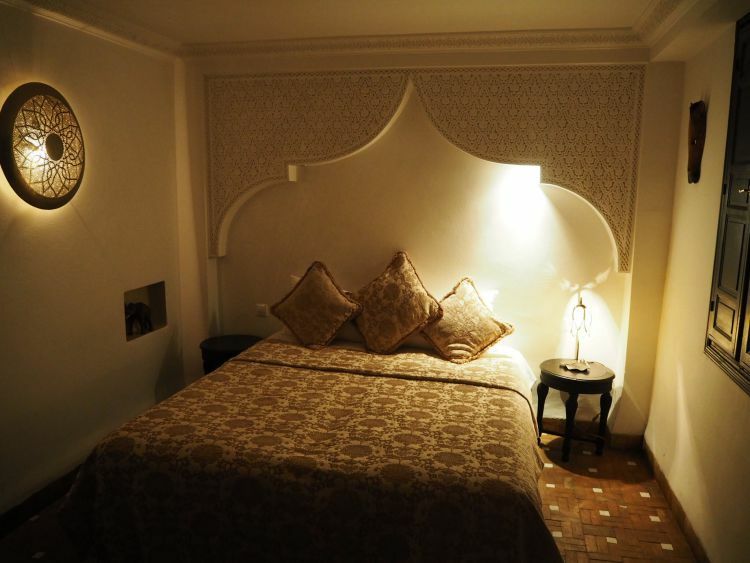 The Moroccan arch over the bed is very traditional – almost in every room. 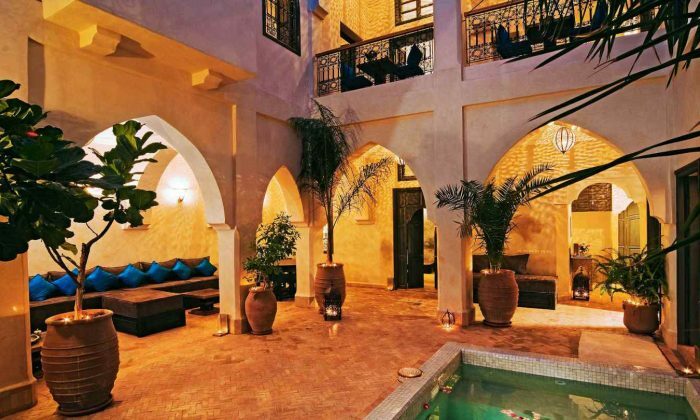 A very beautiful riad! It’s so pretty there! Such a relaxing stay! How wonderful! The heat and the atmosphere comes across in your pictures – just the tonic I need after a British winter. I really like the idea of a cookery class on holiday. Seems like such a tranquil place. I remember going a while back now, it was so pretty, and I love how they accommodated visitors with the use of their air con, as it does get hot and as I’m so pale, I just crisp in the sun, which as you can imagine is no fun. Love this!